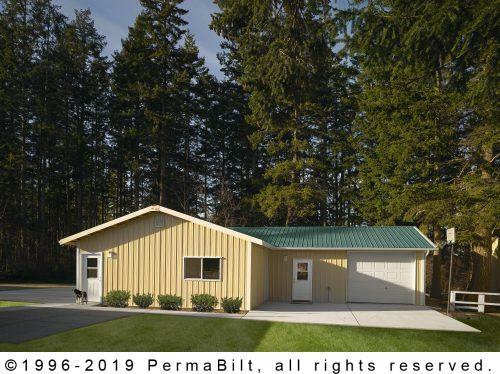 When you have a PermaBilt post frame building constructed you are investing in a product that will bring value to your property, accommodate your current needs and satisfy your future demands. 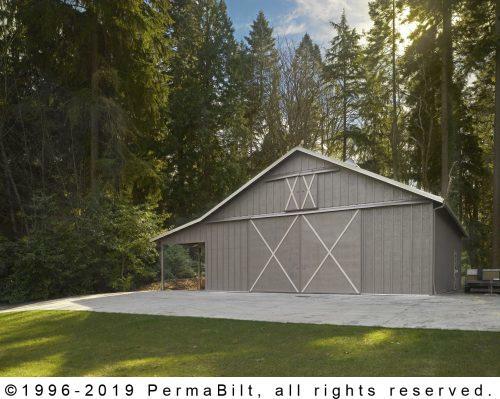 With PermaBilt’s unmatched quality, superior engineering, attention to detail and speed of constructions, you will own a metal garage for cars, workshop or horse barn that will be the envy of your neighborhood and the talk of the town. Let one of our professional garage builders help you with the design, permitting and financing for your next metal garage, utility barn or steel shop building. There’s a metal garage style, post frame building to fit any need. 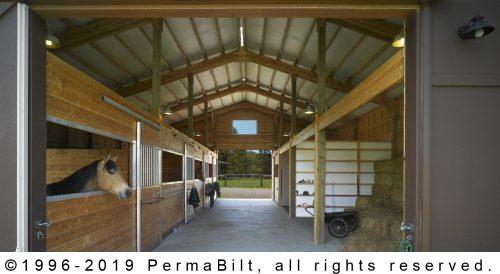 Permabilt starts with a detailed analysis that will meet space and aesthetic requirements. Because post frame buildings walls are non-load bearing, doors and windows can be situated to fit many garage design possibilities. 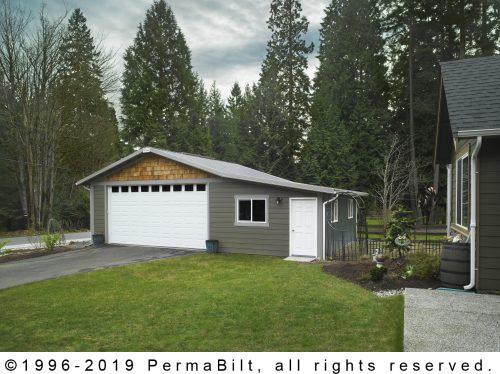 With a wide array of siding and roofing options your PermaBilt post frame metal garage building can be created to match the current design of your home allowing the garage to not only be functional but visually pleasing as well. Our garage builders can create car garages, boat storage buildings or RV storage sheds that will exceed your expectations. 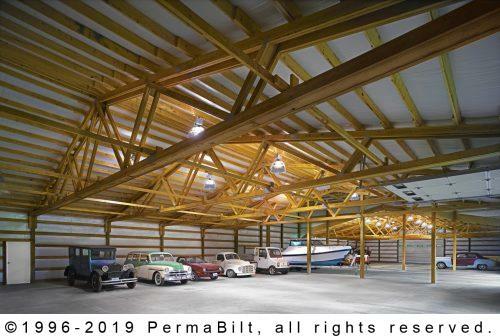 The building design versatility of PermaBilt steel shop buildings is the reason government agencies, businesses and families choose our structures. 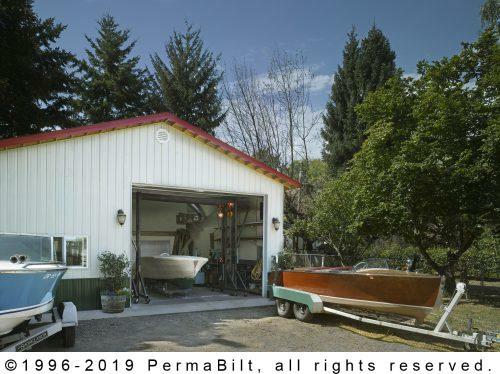 Residential applications include storage sheds of antique cars or race cars, home business, temporary residence boat storage buildings, car repair workshops, wood working shops and RV storage sheds… to name a few. Some popular commercial applications include auto body workshops, heavy equipment storage and farm storage, truck stops and maintenance buildings for utility companies, cities and school districts. 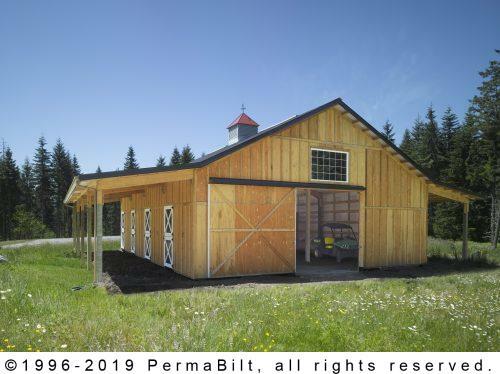 Innovations in building design and improved construction methods keep agricultural producers coming back to post-frame for farm storage sheds, equipment storage and confinement structures. A well designed pole barn building can help you efficiently perform those day to day tasks that are crucial to keeping your farm running. There is no limit to the building design capabilities of post fame in farm storage buildings and utility barns so we can design a farm storage building that will suit all your needs. 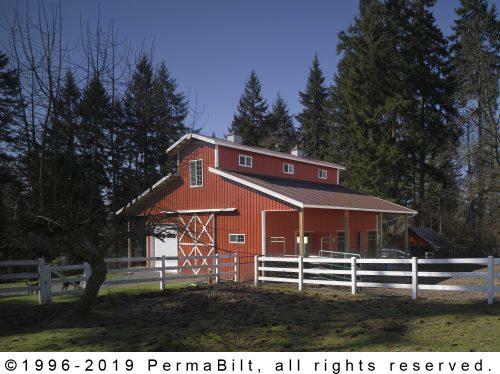 For efficiency, desirability and good looks, you simply can’t find a better building than a PermaBilt! 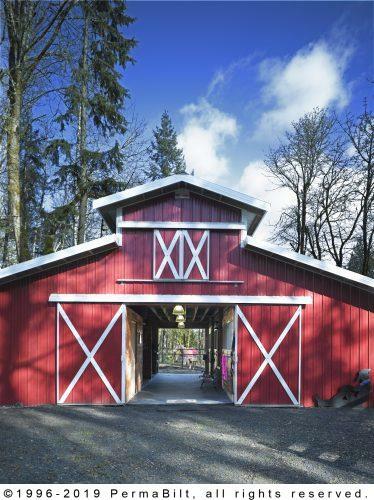 As Washington’s leading post frame barn builder with over 44 years’ experience we can exceed your expectations. Contact one of our building representatives today.